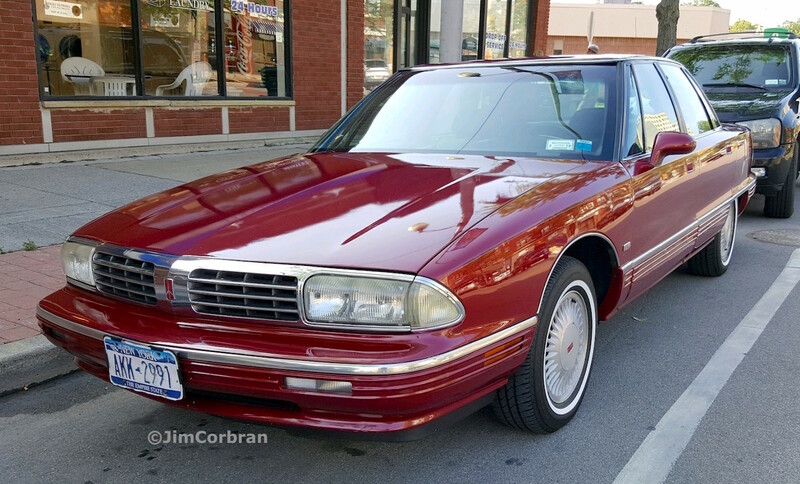 Wikipedia reminds us that this 1996 Oldsmobile Ninety-Eight is from the nameplate’s 12th generation (it made its debut with the 1941 model). Further research shows that, not only was the 12th generation the final generation, but the 1996 model was the last Ninety-Eight produced. 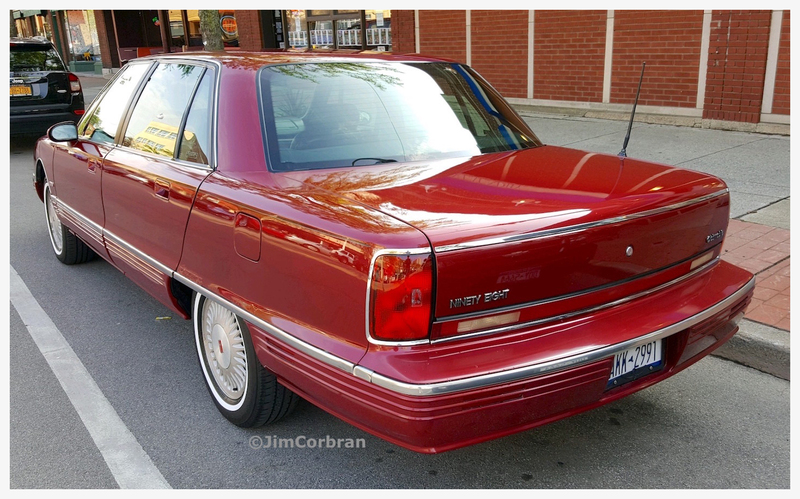 Seeing this car I had to think back, and realized that it was 19 years previous that General Motors downsized its full-sized cars. Even so, the ’96 is a rather large car by today’s standards. Saw this one just up the road from my house in Tonawanda last week.